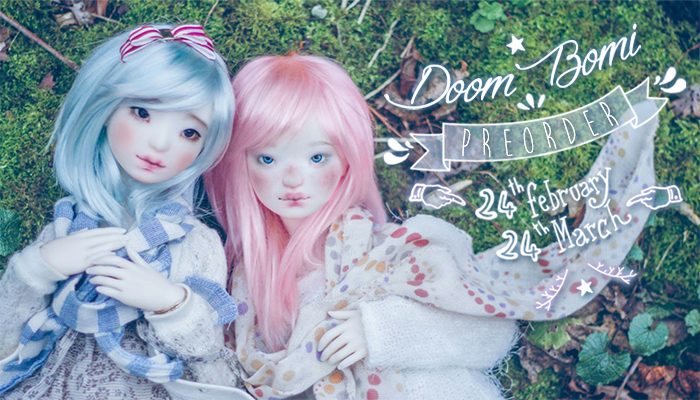 We are very glad to announce that Doom Bomi’s preorder will be held from the 24th of february 2016, to the 24th of march 2016. Please note that for this preorder, Esthy will only make 16 makeups! The wigs and stands for Doom Bomi will be available as an option. Doom Bomi will come in a carriage bag, but the bag will also be available on its own as an option. Nous sommes très heureuses d’annoncer les dates pour la préorder de la Doom Bomi, qui aura lieu du 24 février 2016, au 24 mars 2016. Notez bien qu’Esthy ne fera que 16 makeups pour cette preorder ! Les wigs et stands pour la Bomi pourront être achetés en option. La Doom Bomi viendra dans un sac de transport, qui pourra également être acheté seul en option. Doom Bomi preorder, how big is she? I didn’t receive your newsletter for this preorder. Thank you. We have had issues with emails during December, our servers wouldn’t send them anymore. Please do not hesitate to subscribe again with a valid email address. Thank you very much!